Take a wide vessel and add the whole green moong dal. 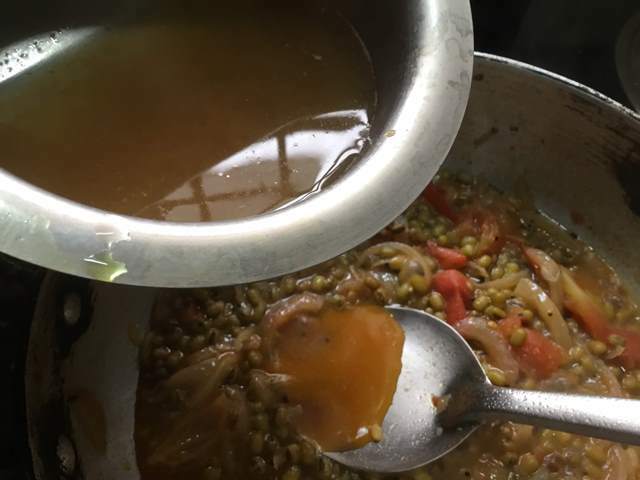 Soak the dal for 8 to 10 hours. 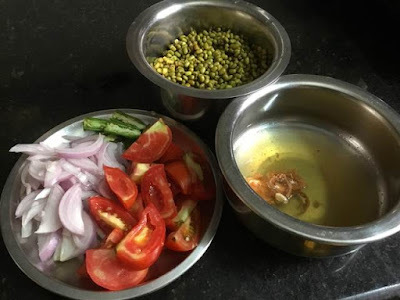 Slice the onions, green chillies and tomatoes. Soak the tamarind in hot water for 20 minutes. 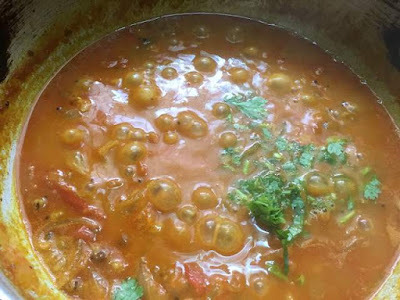 Heat oil in a kadai and add the mustard,urid dal and cumins. 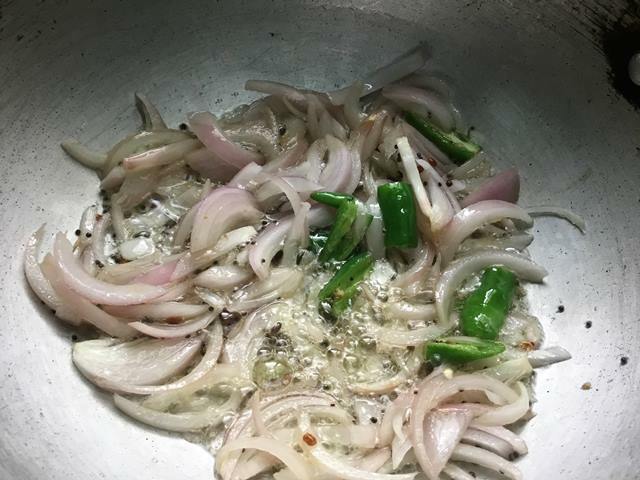 When it splutters, add the onions and green chillies. Stir and saute it on medium heat. When the onions turn soft, add the tomatoes. Saute them on medium heat. 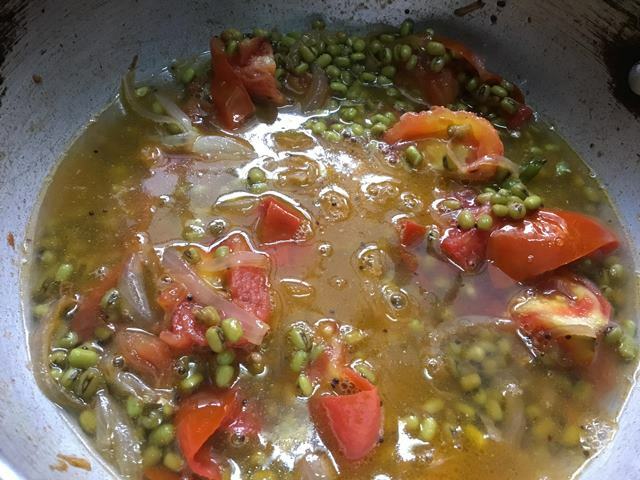 Next, add the drained dal and mix them well. Pour 1.5 cups of water and close it with the lid. Let the dal to cook on medium heat for 20 to 25 minutes. Check in between to add water for cooking. When the dals turn soft, add the tamarind extract. 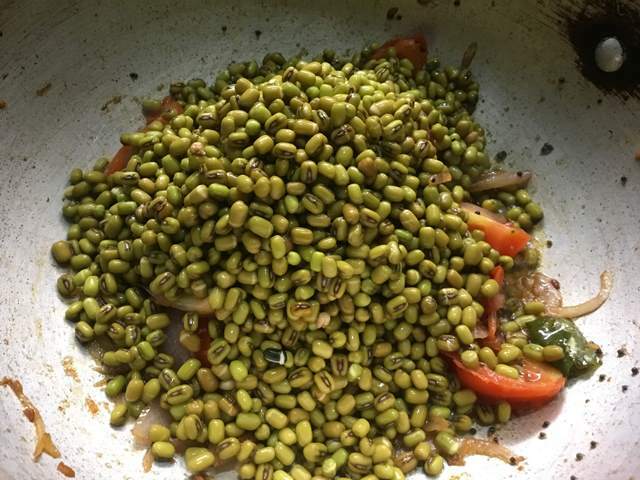 Mix them well and cook them further for 5 minutes. 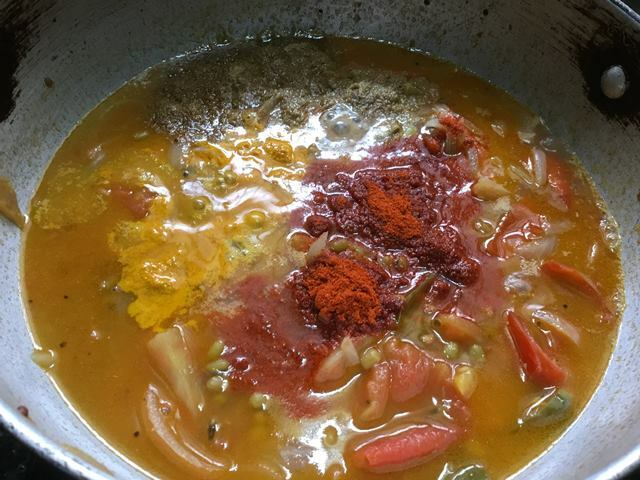 Next, add the red chilly powder, coriander powder, turmeric powder and required salt. 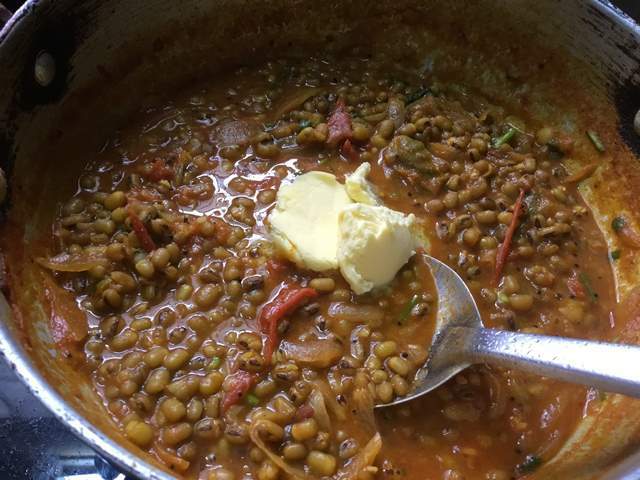 Cook the dal for 10 minutes or until the dal turns thick. Add the chopped coriander leaves and turn off the heat. Finally, add the butter and mix them well. 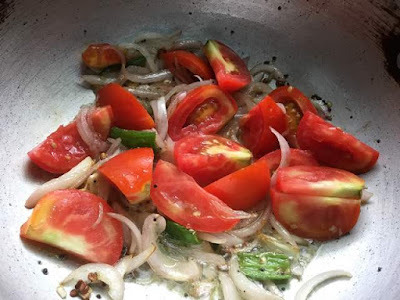 Serve it warm with roti or rice. 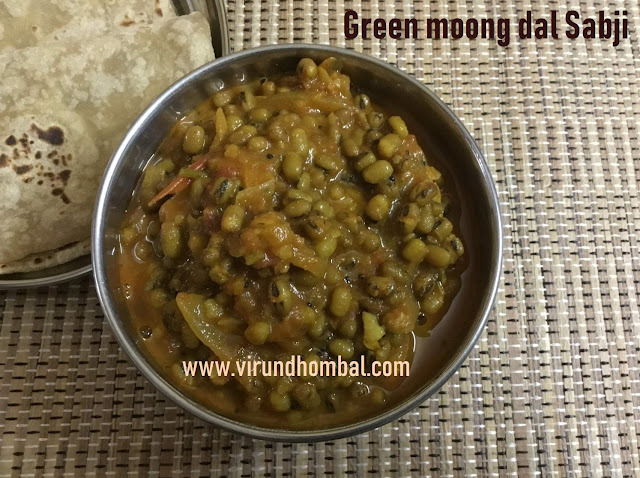 Take a wide vessel and add the whole green moong dal. 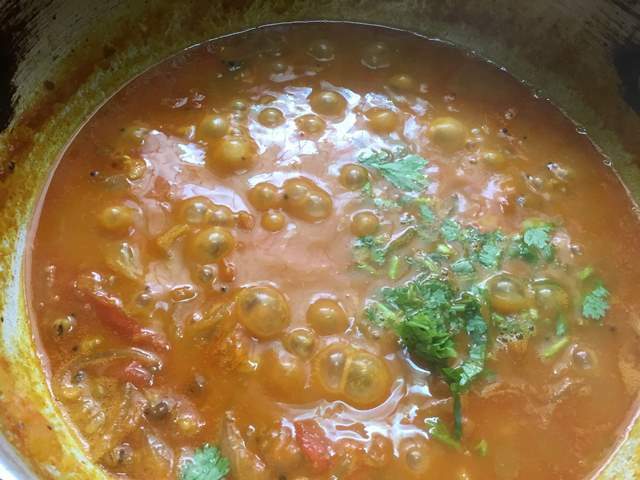 Wash the dal in water for 2 times and pour 2 to 3 cups of water. 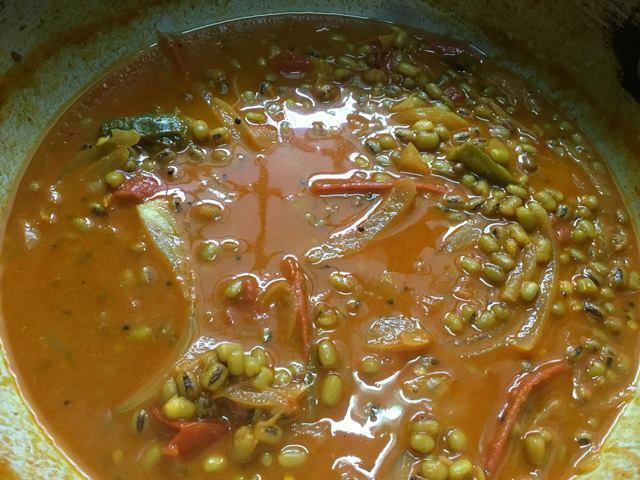 Soak the dal for 8 to 10 hours. 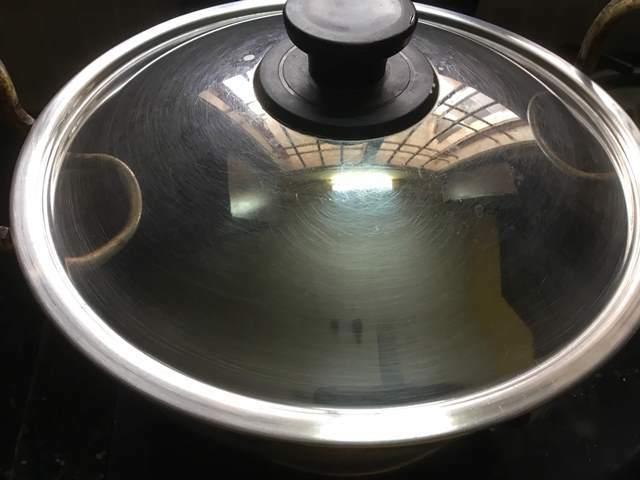 After 10 hours, once again wash the dal in water and drain the water completely. Slice the onions, green chillies and tomatoes. Soak the tamarind in hot water for 20 minutes. Heat oil in a kadai and add the mustard, urid dal and cumins. When it splutters, add the onions and green chillies. Stir and saute it on medium heat. Next, add the red chilly powder, coriander powder, turmeric powder and required salt. 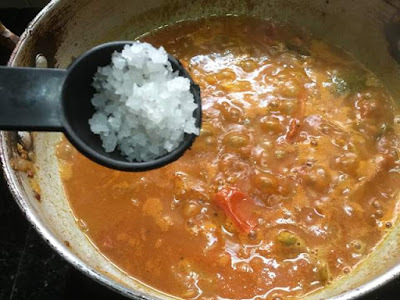 Instead of red chilly powder and coriander powder you can also add 1 tbsp sambar powder.